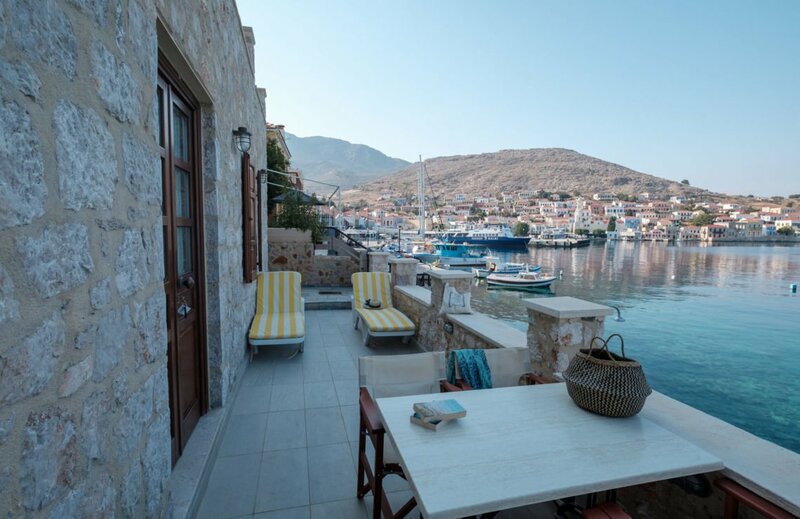 New for 2018, Villa Moscovia in Halki, is a luxurious waterfront villa in Halki of superb quality throughout. 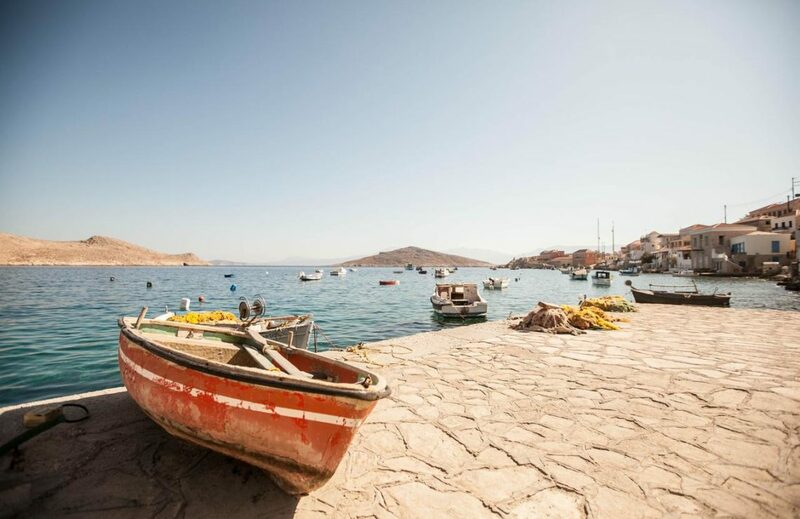 Enjoy some of the most beautiful views of the harbour and Halki from your large private terrace and swim a few steps away from your villa. A traditional stone built waterfront villa, with an amazing large private terrace, with superb views and swimming right in front! 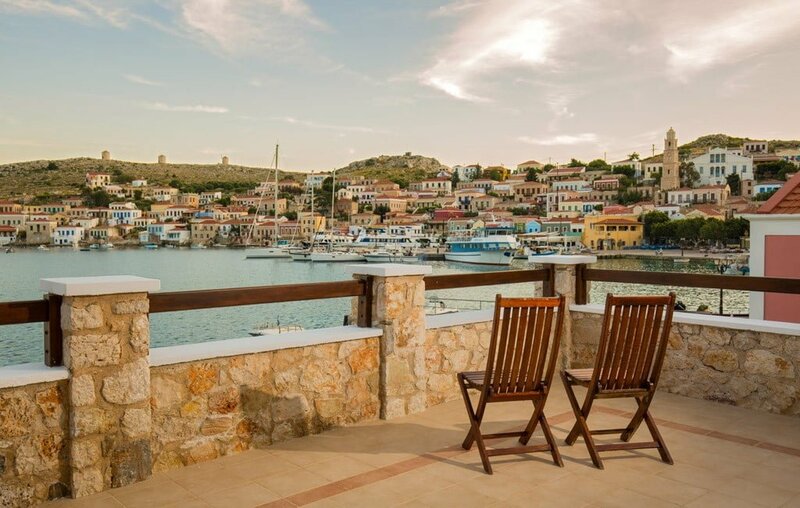 A premium family villa, located on the waterfront of Halki, with an amazing private terrace and direct access to swimming. One of our best sellers! 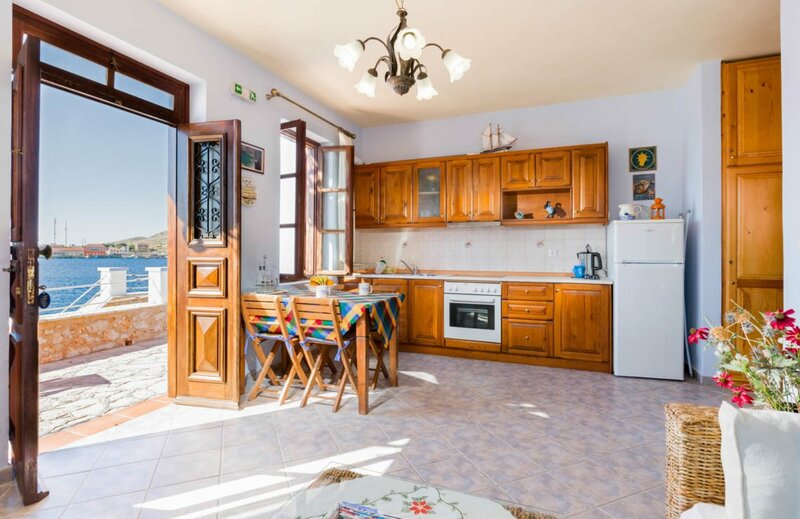 One of our exclusive waterfront properties, villa Angeliki is an exceptional stone built villa situated right on the harbour side, it offers superb views and private access to swimming! 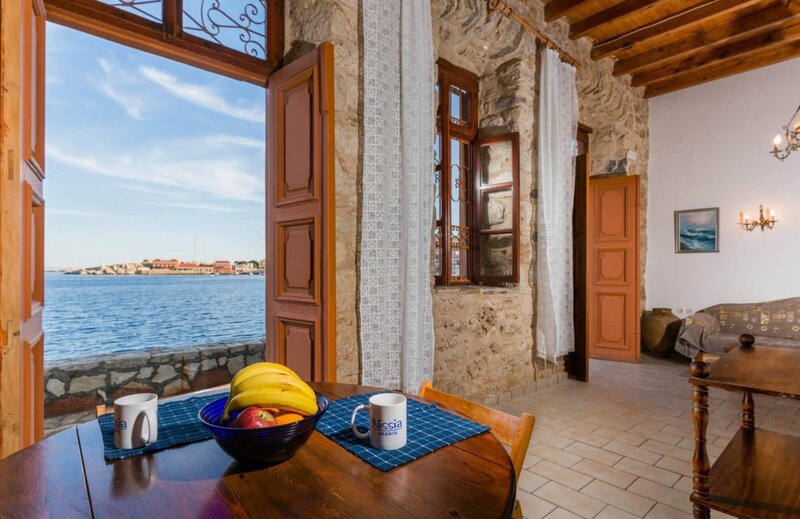 One of our exclusive Waterfront properties, Tilemachos is a stone built villa situated right on the harbour side. 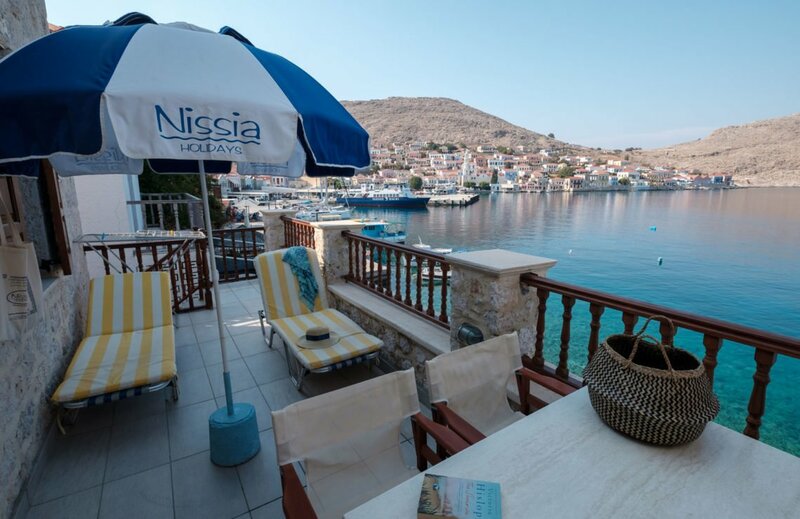 Finished throughout to the highest possible standards this villa offers great quality accommodation on Halki. Villa Eleni Up is a lovely watwefront villa with a superb private terrace, amazing views and easy access to waterfront swimming! 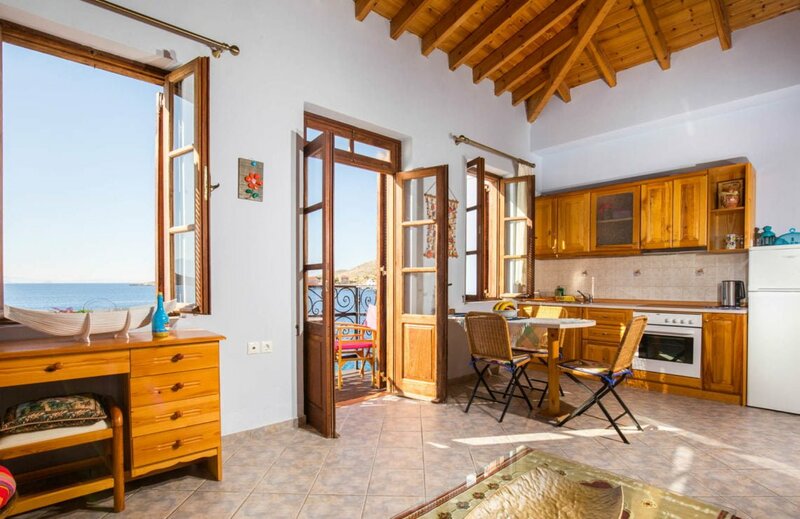 Villa Eleni Down is a popular couple's villa with great access, superb views and swimming right in front of your villa! 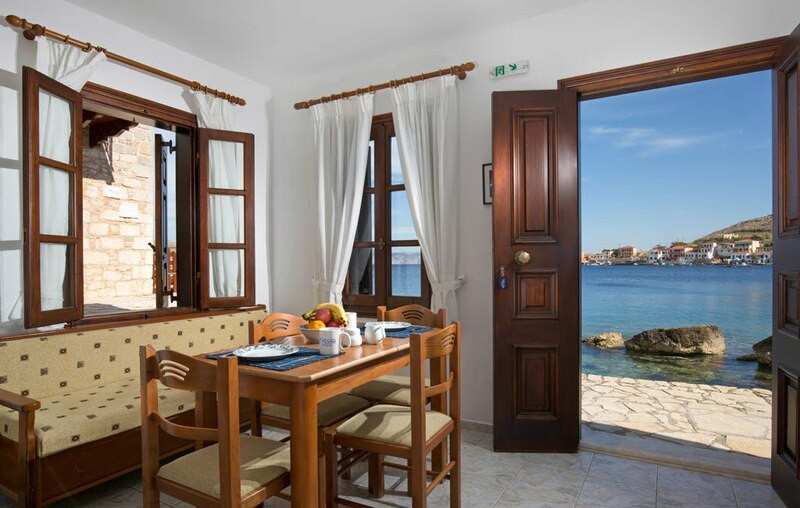 Naftilos apartment is one of our exclusive waterfront properties, known on the island as one of the Red Houses. 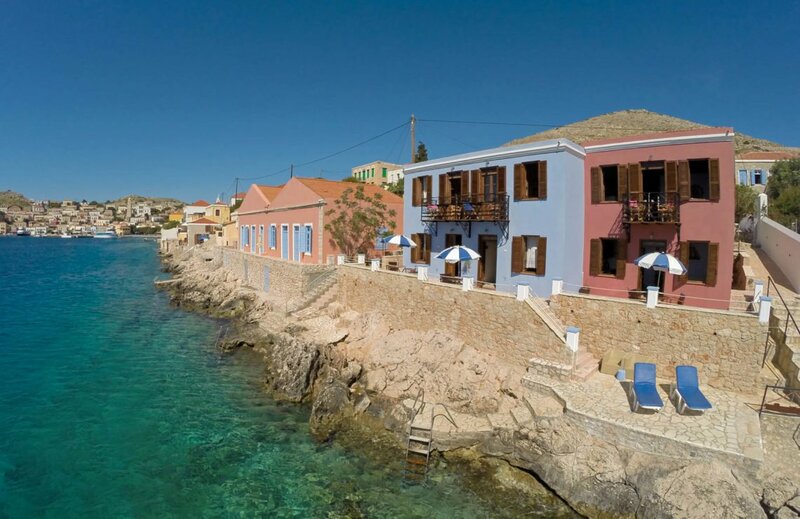 Areta is one of our exclusive waterfront properties, part of the Red Houses. 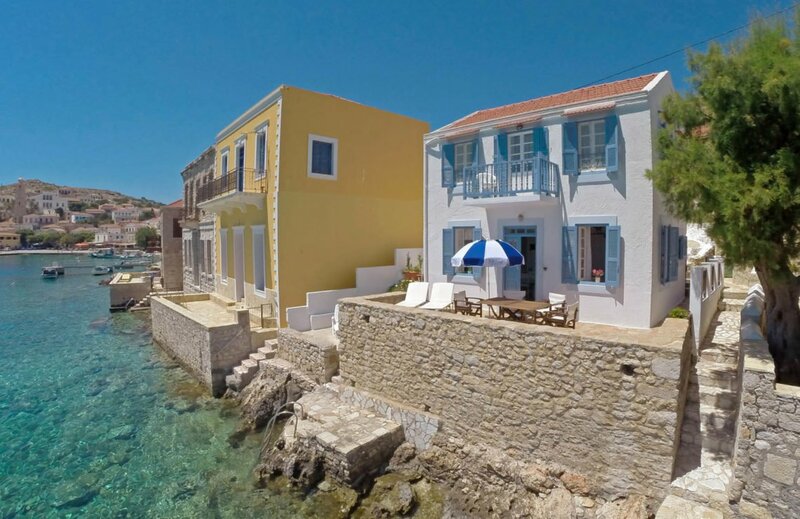 Villa Perla, part of the Blue Houses, situated on the waterside in Halki is one of our most spacious and high quality villas in Halki.